As built-in higher performance home theaters are installed around the world, we are finding that more customers are demanding front channel speakers with greater fidelity and higher sound pressure levels than ever before. And, here is our answer. The AIM Cinema Monitors are bigger, better and badder than anything in the category. 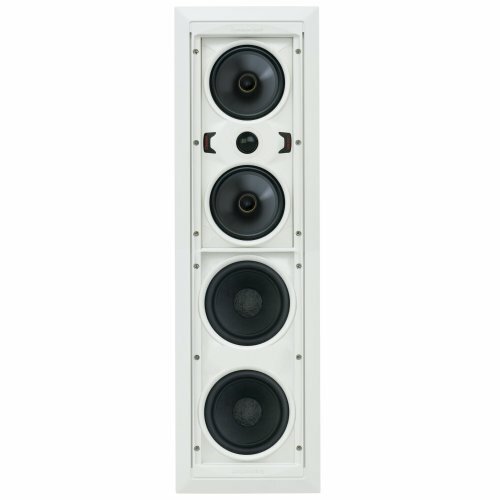 These speakers utilize the equivalent of an AIM LCR on a pivoting sub-baffle for the mid-bass, mid-range and high frequencies. Below that are two high performance 6-inch woofers on a separate stationary sub-baffle to increase output and extend the low frequencies. Available in models ONE, THREE and FIVE, now the incredible impact and dynamics necessary in today's home theater are available in a package that still mounts entirely in the wall.